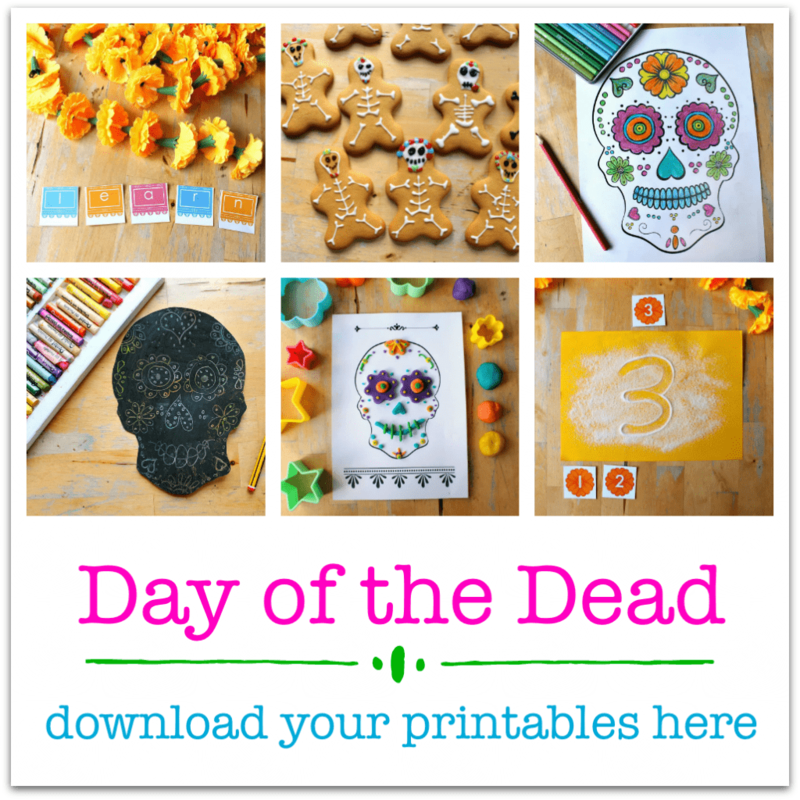 Here’s a Day of the Dead-themed alphabet printable with ideas for Day of the Dead literacy activities. 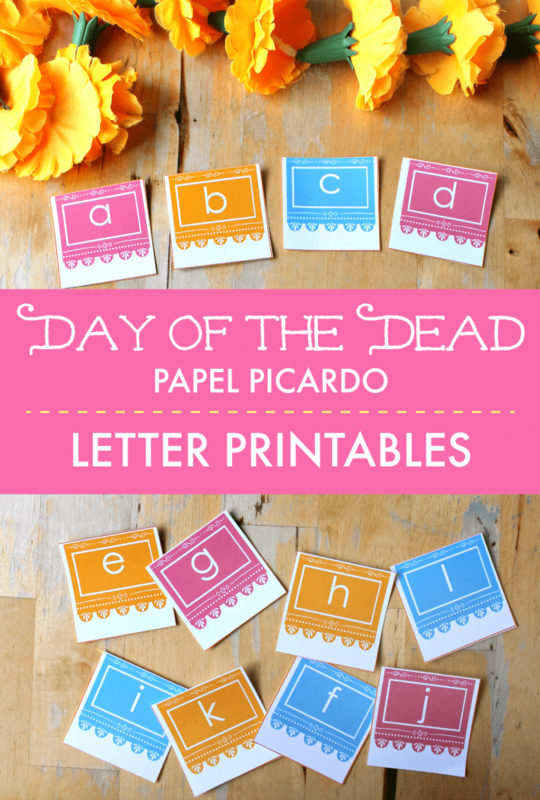 Let’s use our papel picado alphabet for some Day of the Dead-themed letter games. Papel picardo means pierced paper and these colourful paper flags are one of the traditional decorations of the Day of the Dead. The flags are made by artisans who pile up stacks of coloured tissue paper and use hammer and chisel to punch out designs. The delicate paper bunting represents the wind and the fragility of life. 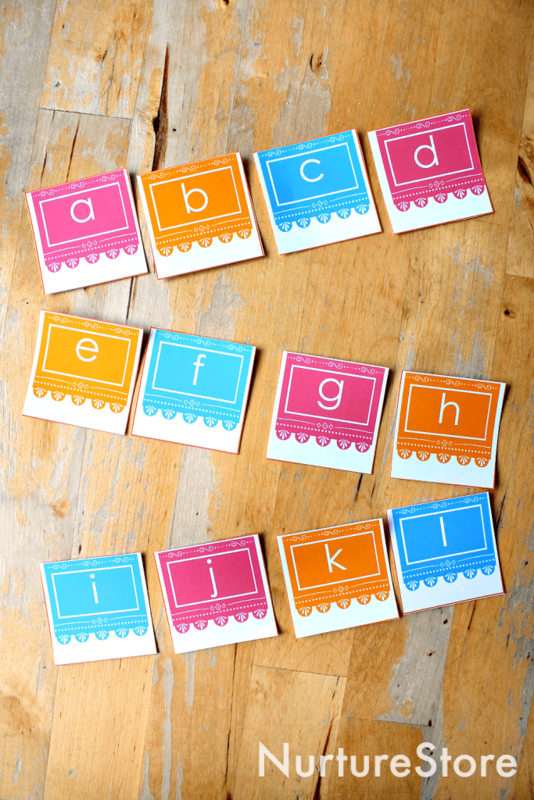 Print out the paper picardo alphabet set from the Day of the Dead Unit lesson plans and use it for letter and spelling games. You can write in sand or salt coloured with orange, pink, or blue chalk to make it Day of the Dead-themed. Use your finger to write your words straight into the sand or salt. Younger children might like to make lines, circles, curls and squiggles. 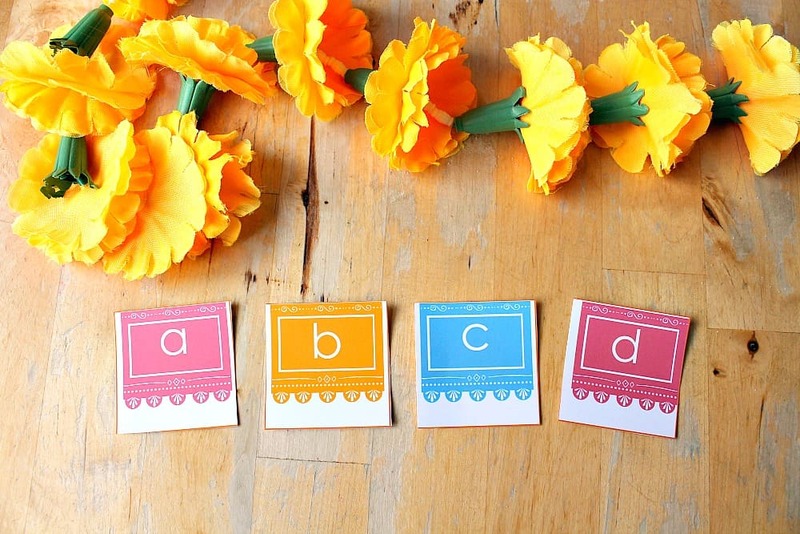 Older children can use the papel picardo letters to copy letter shapes, to write their name or to work on spelling. Let's raise our kids as knowledgeable, global citizens with a multi-cultural education. The Day of the Dead toolkit gives you everything you need to learn about this special festival. 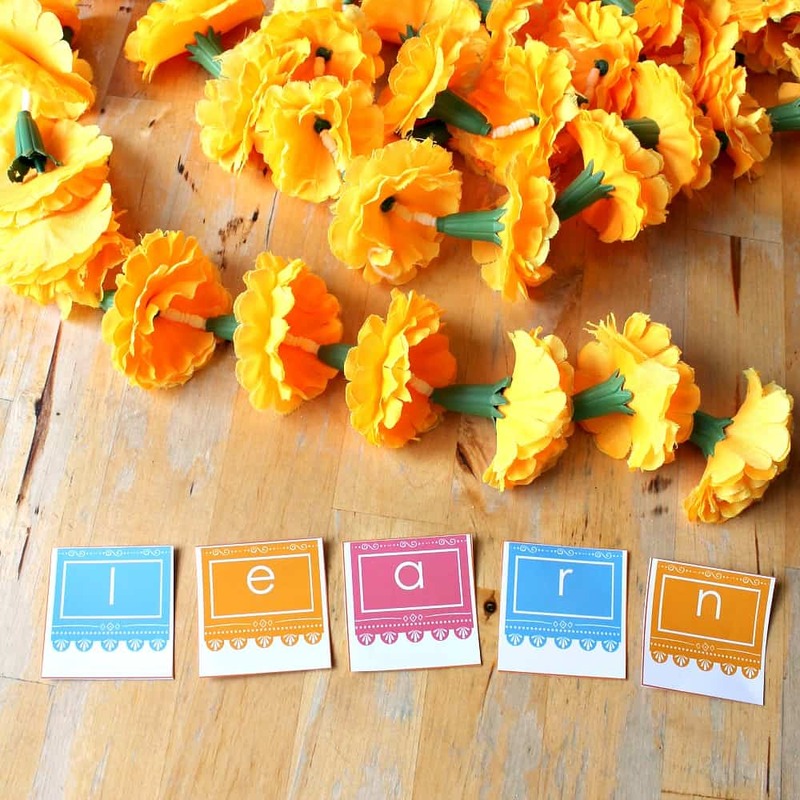 With fun activities, lesson plans, and super useful printables you will transform your space into a celebration of the Day of the Dead through math, literacy, art, craft, sensory, food, and film. :: everything planned for you, so you can enjoy it as much as your children do. Click here to see more and get your kit.